Since 2015, Canelo-Golovkin has been the most anticipated fight in all of boxing, and most expect it to be more crowd-pleasing than Mayweather-Pacquiao. In spite of its anticipation, Canelo-Golovkin risks being an overhyped mismatch. For Canelo Alvarez has failed to face the best competition as a junior middleweight and has not fought a legitimate middleweight contender. 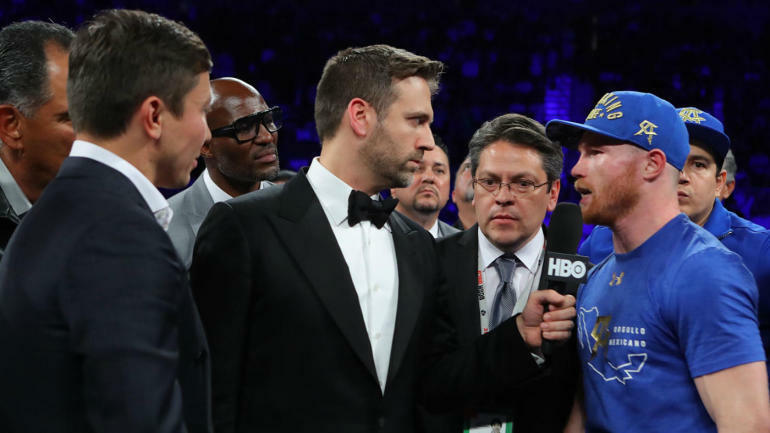 And while it Is convenient to dismiss his loss to Floyd Mayweather as excusable since Mayweather is one of the greatest boxers of all time, and because Canelo Alvarez was young at the time he fought Mayweather, it is still worthy of consideration that Alvarez was unable to make the fight competitive. On paper Alvarez’s (49-1, 34 KO) most impressive win was against Miguel Cotto, especially since Alvarez won the WBC middleweight title in the process. However, Cotto has the frame of a small junior middleweight, and he himself won the title by defeating an injured Sergio Martinez, who also was a true junior-middleweight competing at middleweight on the basis of his athletic ability. At the time that Alvarez defeated Cotto, one could argue that Cotto was past his prime and was not in condition to win against a top junior middleweight. The main criticism of Gennady Golovkin (37-0, 33 KO)is that he has feasted on facing opponents who did not hit very hard and who lacked the durability to handle his own punching power. While Golovkin’s case is not helped by facing Alvarez, still considered small for the middleweight division, it does mean we have to question the effectiveness of Canelo’s power against Golovkin. 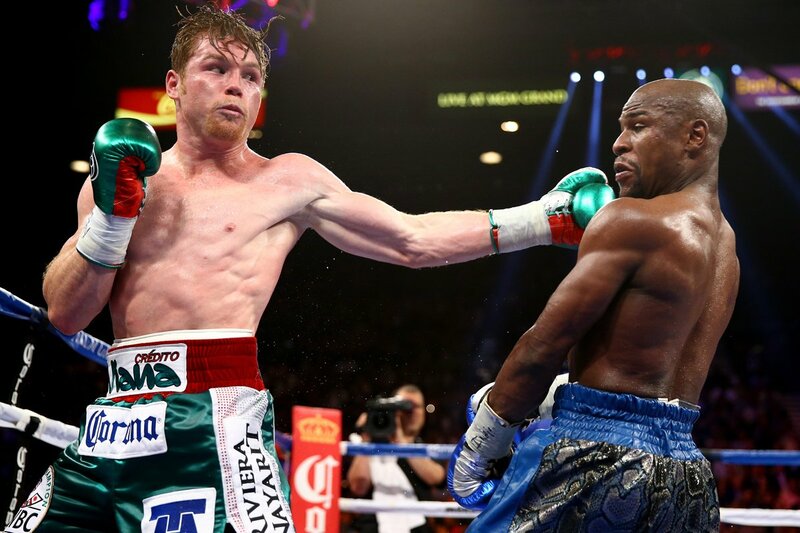 Floyd Mayweather, a small welterweight, fought Canelo for twelve rounds. Prior to fighting Alvarez, Mayweather dismissed questions of his ability to handle Alvarez’s power by citing past opponents of Alvarez who lasted twelve rounds against him, thus insinuating that Alvarez’s power was overrated. 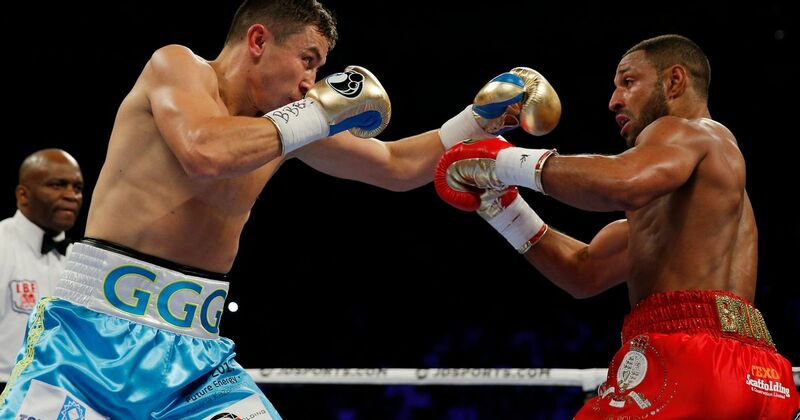 Indeed, it is unlikely that Mayweather would have fought Alvarez if he has the one-punch power to dent Golovkin. Recently, Alvarez took nine rounds to finish Liam Smith in a junior-middleweight contest, a fight that was not competitive. He also went twelve rounds against Miguel Cotto without even scoring a knockdown, and Cotto had been significantly hurt in lower weight divisions. Abel Sanchez, Golovkin’s trainer, has been on record in multiple interviews criticizing the power of Alvarez, and Golovkin himself has been known to use punching power as a first measure when rating an opponent. All of that considered, Canelo has the power to be effective if he is accurate and consistent. Canelo’s two main physical assets will be his hand speed and his physical strength. Oscar De La Hoya, Canelo’s promoter, has been on record stating that he does not believe Golovkin can fight effectively going backwards – and many other people, including Golovkin’s past opponents, are critical of his ability to fight in close range. Canelo will rely heavily on his physical strength to maintain a close-quartered physical fight with Golovkin. Canelo’s major limitations have been his slow feet and fatiguability. Abel Sanchez has already indicated that Golovkin’s jab will be his most important offensive weapon; that is, Golovkin intends to box Canelo from the outside. Canelo, who prefers to counter, will probably find himself having to move towards Golovkin to make the fight, in which case his slow feet may be problematic. We observed this scenario when Golovkin fought David Lemieux. The safest thing for Canelo to do is slip to the outside of Golovkin’s jab, away from Golovkin’s straight right hand or uppercut, and to use the left hook effectively to the body. Unlike Lemieux, Canelo has good head and upper body movement; and where Canelo lacks in foot speed, he can slip and feint Golovkin better than Lemieux and take advantage of Golovkin’s misses to land his counters. Here, Canelo may find some inspiration from Kell Brook’s performance against Golovkin in which he was frequently able to use head and upper body movement to make Golovkin miss. Still, Golovkin must be considered the favorite. Everything stated above regarding Canelo’s chances of winning are based on an assessment of his style and physical attributes, not because he has done it against competition near Golovkin’s level. 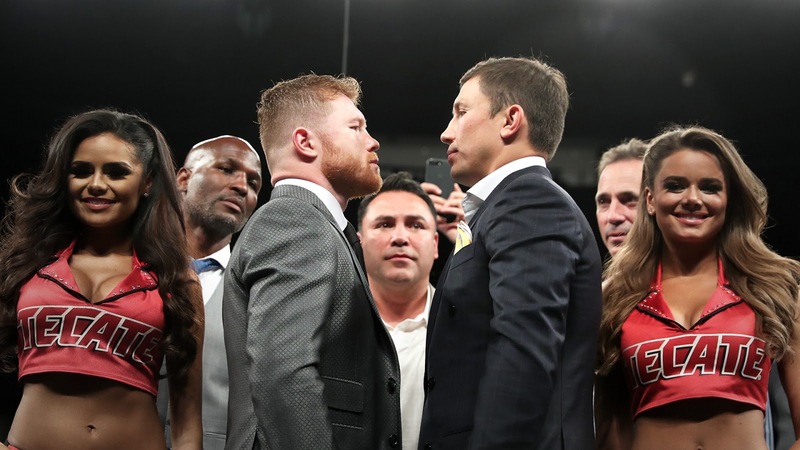 Gennady Golovkin will be defending his WBC, WBA, and IBF middleweight world titles against Canelo Alvarez this Saturday, Sept. 16 at the T-Mobile arena in Las Vegas. The main fight card begins at 8pm EST on HBO pay-per-view and on BoxNation at 1am BST in the UK.